This simple and chic pendant is a perfect way to make a dainty statement. Choose from three different font styles (reference last picture), the edgy Old English, simply Classic or elegant Fancy. 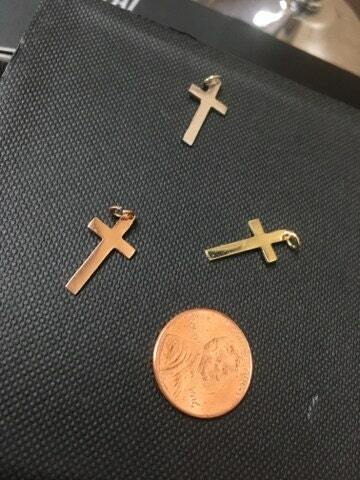 Initials are cut by hand in solid 14 karat yellow, rose or white gold. The final piece is brought to a high polish and topped with a 14 karat gold loop. 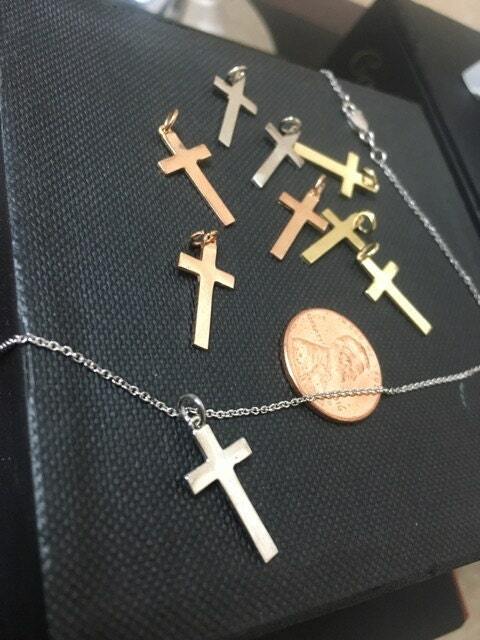 Purchase with or without a thin 14 karat gold pendant chain. 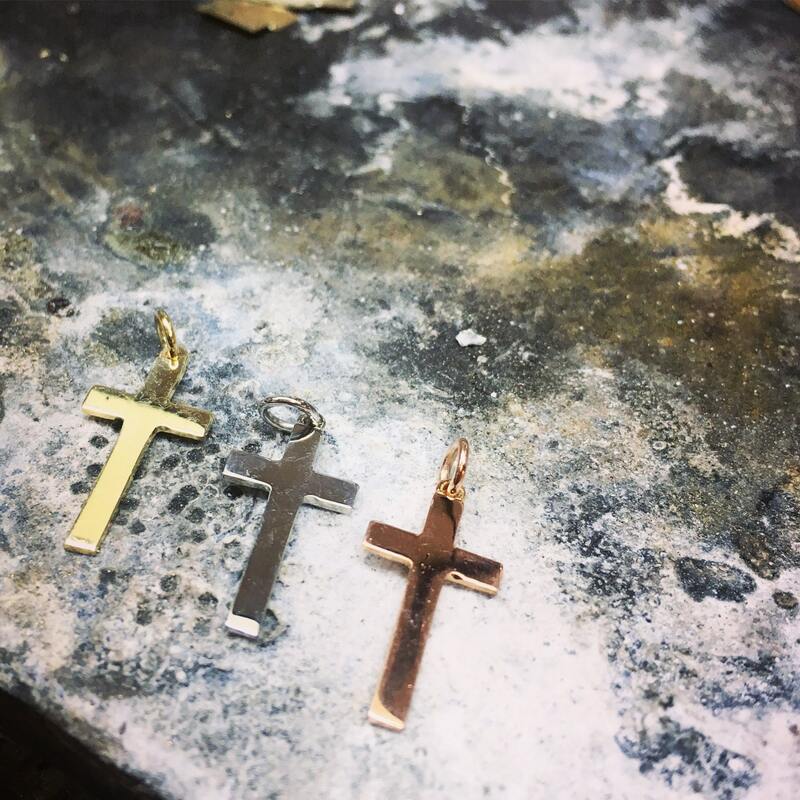 This is piece is crafted for the customer, a follow up email with a confirmation of the letter, upper or lower case and color gold will be sent within 48 hours of purchasing. Please be sure to note any preferences in size and leave the rest to our experts to create your beautiful pendant. Each letter is unique and varies in length and shape. The variations in length, size, and shape of each name are taken into consideration and adjusted according to the price to ensure satisfaction. The average measurements are approximately one inch tall, half an inch long and one millimeter thick. The ever changing gold price will affect the price of this pendant. Order may take up to two weeks.